Shereen graduated from the University of Liverpool, United Kingdom in 2013 and was admitted as an Advocate and Solicitor of the Supreme Court of Singapore in 2015. Prior to reading law, in 2010, Shereen graduated from Temasek Polytechnic with a Diploma in Law and Management. Through her experience, Shereen assisted distinguished Senior Practitioners in various practice areas involving highly complex matters. Shereen is well equipped to assist clients through any part of the family process. At GJC Law, Shereen has represented clients as lead counsel in heavily contested matters through summons hearings, administrative hearings being status conferences and case conferences and urgent applications. 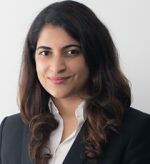 Separately, Shereen has assisted and represented clients in mediation sessions in resolution of complex ancillary matters and matrimonial issues. She has had extensive experience in mediations conducted at the CFRC where clients were able to leave feeling content with their amicable resolution. Shereen adopts an approach that is solution-orientated. She is fiercely committed to aiding her clients in achieving their best possible outcome whether it is through litigation or mediation. Shereen has the added advantage of her Diploma in Law and Management and work experience at a law firm in London as a practical supplement to her Family Law experience. Shereen has had extensive exposure to Admiralty Law and Practice in assisting a distinguished Senior Practitioner. During this time, Shereen was given the opportunity to primarily manage several Admiralty matters ranging from cargo claims to the arrest of ships. Shereen has also assisted in several successful Mareva Injunction applications. In her Corporate experience, Shereen has assisted in initiating winding up proceedings pursuant to the Company’s Act and the advising and drafting of a company’s agreement for coverage under the Personal Data Protection Act. Apart from this, Shereen has also assisted in drafting company compliance manuals in relation to Singapore Competition Law. Outside Law, while pursuing her Diploma in Temasek Polytechnic, Shereen was an active volunteer at the weekly Meet-The-People sessions and assisted as a Petition Writer.